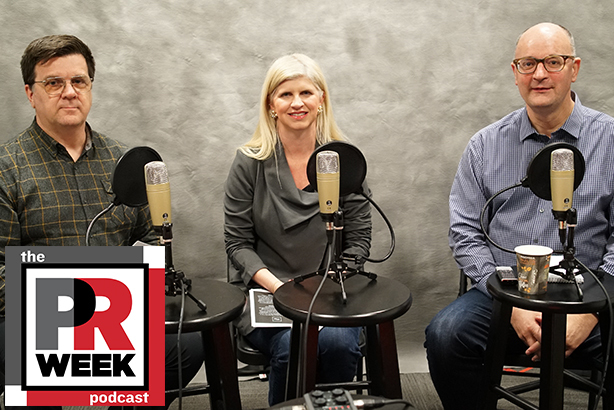 Tina McCorkindale, Institute for Public Relations' president and CEO, joins The PR Week for this week's podcast episode. Tina McCorkindale, Institute for Public Relations' president and CEO, joins PRWeek's Steve Barrett and Thomas Moore to share some insights from the nonprofit's recent survey with Morning Consult on who is responsible for spreading fake news and who U.S. adults trust the most. The group also discusses IPR's recent study with KPMG on women’s leadership in the comms industry. Other topics include the Brand Film Festival shortlist launch, the tech PR community mourning Ryan Donovan, BCW's rebranding and "Moving People" strapline, and April Fools' Day PR stunts.